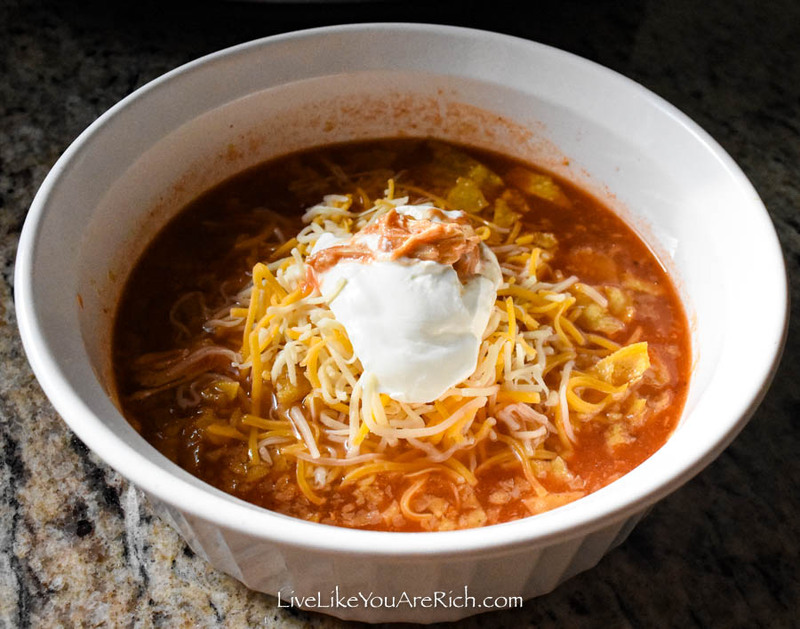 This is an amazing recipe for Slow Cooker Chicken Tortilla Soup. Not only is it an easy meal to prepare (10 or so minutes), it is so tasty, versatile, and healthy. Because families have varying spice tolerance, I’ve included instructions for the Mild, Medium, and Hot versions. 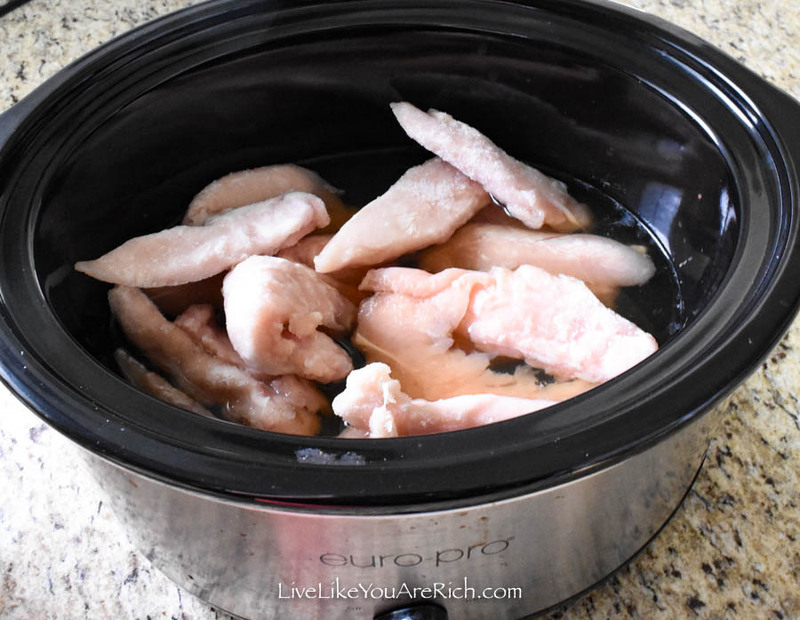 All you do is throw the ingredients in a crock pot/slow cooker and let it cook for 6 hours. You can shred the chicken at about 2-3 hours in, or even when it’s complete (before serving). So this recipe is a great choice if you need something to throw into a slow cooker before work or church. 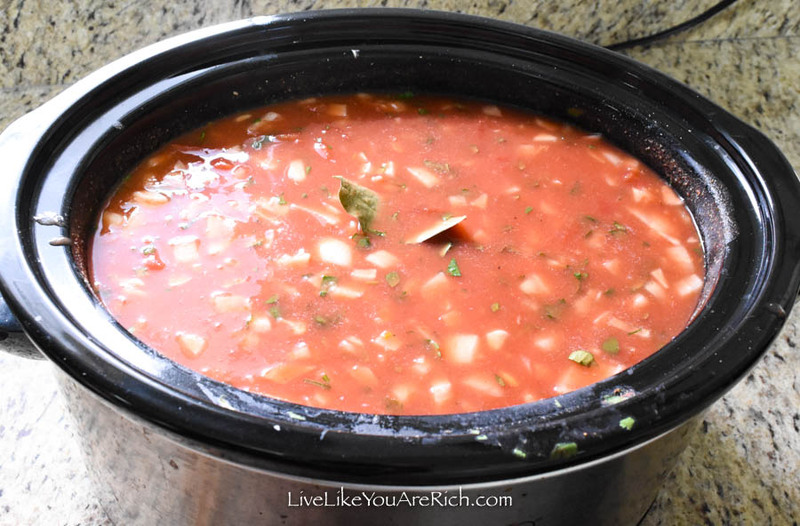 MILD: Add frozen chicken breasts, broth, cilantro, water, lime juice, salt, pepper, onion, minced/crushed garlic (or garlic powder), canned tomatoes, mild canned chiles, mild salsa, canned tomato sauce, canned corn (not drained), and bay leaf to a crock pot. Cook on slow for 6-8 hours. Take chicken out after 2-3 hours, shred it and return it to the soup to continue cooking. MEDIUM: Follow the instructions above but add normal/hot chiles and medium salsa. HOT: Follow instructions for mild but use hot/normal canned chiles, hot salsa, 1 teaspoon chili powder, 1 teaspoon cumin. Top it with tortilla chips, sour cream, and Mexican blend cheese. Refrigerate leftovers. This is an amazing recipe for Slow Cooker Chicken Tortilla Soup. Not only is it an easy meal to prepare (10 or so minutes), it is so tasty, versatile, and healthy. Because families have varying spice tolerance, I've included instructions for the Mild, Medium, and Hot versions. MILD: Add frozen chicken breasts, broth, cilantro, water, lime juice, salt, pepper, onion, minced/crushed garlic (or garlic powder), canned tomatoes, mild canned chili peppers, mild salsa, canned tomato sauce, canned corn (not drained), and bay leaf in a crock pot. Cook on slow for 6-8 hours. Take chicken out after 2-3 hours, shred it and return it to the soup to continue cooking. MEDIUM: Follow the instructions above but add normal/hot chili peppers and medium salsa. HOT: Follow instructions for mild but use hot/normal canned chili peppers, hot salsa, 1 teaspoon chili powder, 1 teaspoon cumin. Top it with crushed tortilla chips, sour cream, and Mexican blend cheese. Refrigerate leftovers. Awesome, let me know how it tastes. My family loved it. I think it is so so good! It looks delicious and yummy. I would like to try this dish at home. Thank you, let me know if you do give it a try!